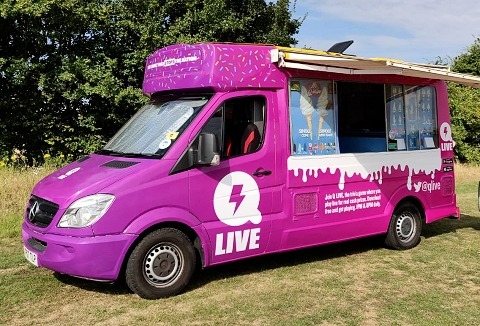 We have extensive experience in providing mobile ice cream vans and trailers for use in corporate promotions, advertising and company fun days. 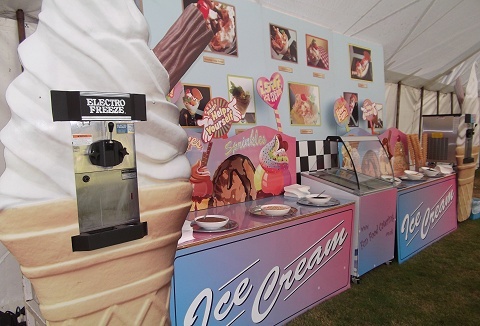 Serving a range of ice creams, lollies and impulse ices at shows & events. Tailored service for private events. We are able to cover any type of indoor or outdoor event selling a wide range of classical 99's to impulse ice creams and ice lollies. 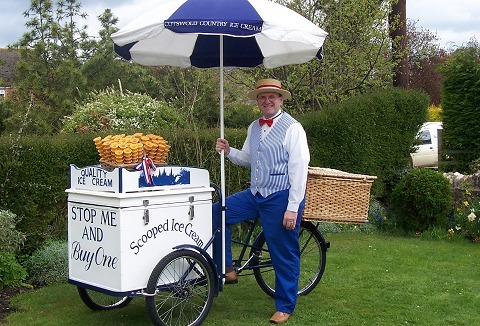 Served from our range of mobile ice cream units, carts, trailers, ice cream vans and traditional ice cream tricycles. We are a family run ice cream business based in the heart of the Cotswolds selling ice cream from traditional nostalgic ice cream tricycles. Ideal for all event types including shows, fetes, corporate hospitality, company family days, filming & weddings. We are a family run mobile ice cream hire business and we look to attend all size events with our very clean and attractive ice cream vans. We sell a wide range of ice cream products including delicious creamy ice cream, impulse ice creams and lollies. We are a professional family mobile ice-cream business, using good quality produce (we specialise in selling soft whip ice-cream). With our 2 long wheel-base mobile ice cream vans we can cover boot fairs, fetes, weddings to shows and events of all kinds. 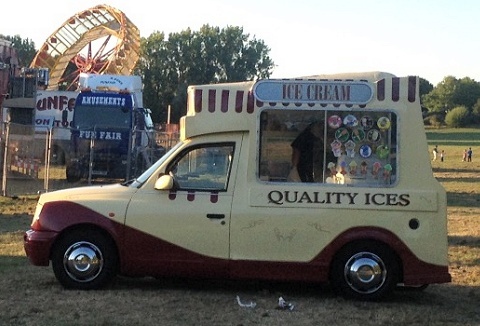 Our family run business was established in 1980, and to this day we have provided for the local and wider community a professional mobile ice cream service serving quality ice cream at all types of events, corporate promotions and private functions. 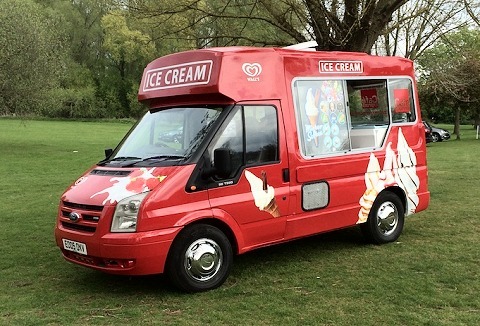 We offer a tailored ice cream van hire service with qualified dressed staff for any public event to private functions. 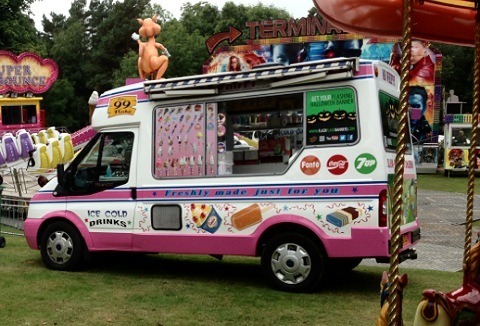 Corporate ice cream van hire also available with fully/partial wrapped ice cream vans for branding promotions to TV and film work hire. Professional and conscientious mobile catering at venues throughout the south east, west and midlands. 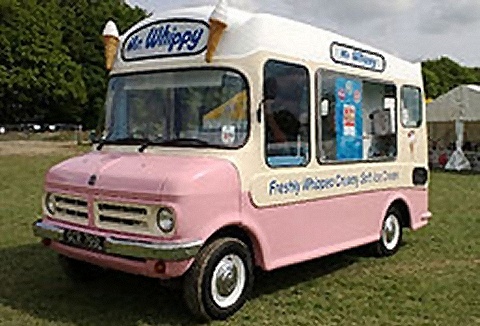 Top quality ice cream vans with public and products liability insurance. All operators hygiene certificated. Book us and help make your event a success! 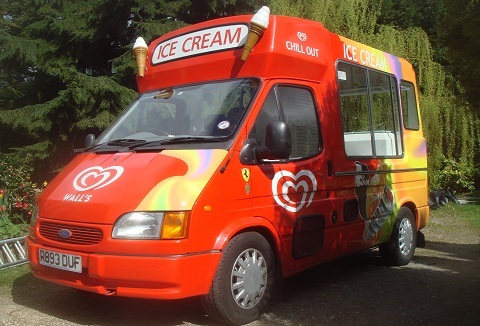 Our fleet of modern and classic ice cream vans serve top-quality ice cream and all major brands. 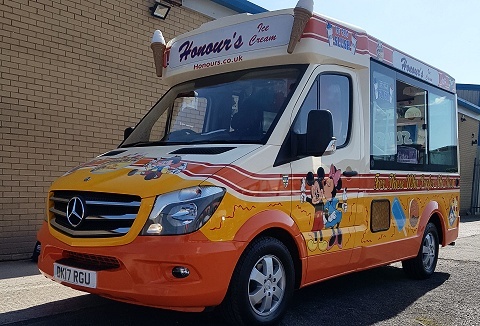 Awarded 2019 Ice Cream Mobiler of the year, we can cater for major events as well as small family ones. Specialists in providing a service to suit your needs. Old fashion 1940's - 1950's 'Stop Me and Buy One' ice cream tricycles for hire also Mr. Whippy soft ice cream machine and ice cream freezer hire. Mobile ice cream factory, ice cream sundae bar and ice cream parlour serving your favourite ice creams.